George Washington Carver’s Tree of Life | Lift Jesus' Cross! I recently posted a blog on how one day we will be judged by what we did and didn’t DO. So, how do we really know what to do on a day to day basis? Well, George Washington Carver told the entire U.S. Senate, Ways and Means Committee exactly how he knew what to DO every day of his life. 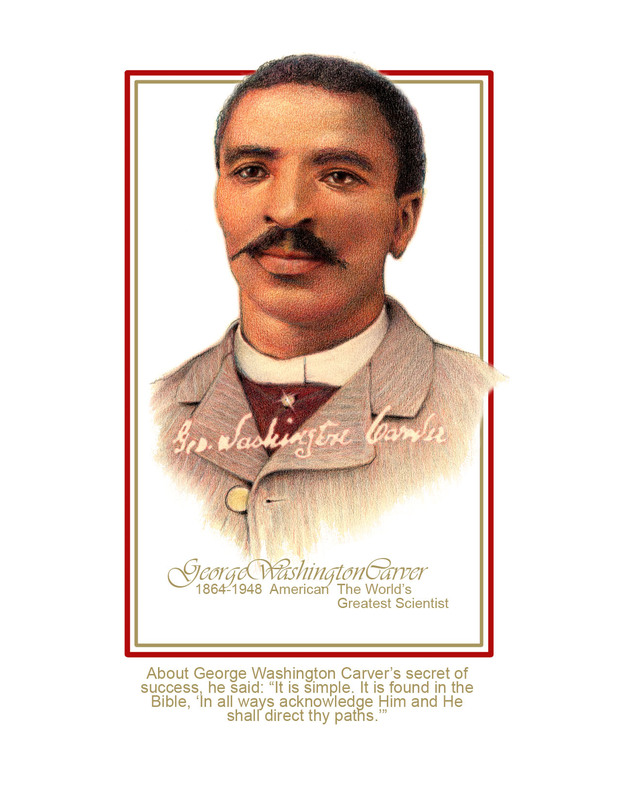 I have to tell you that I am fascinated by the life of George Washington Carver who lived in the post Civil War Era. Carver’s parents were slaves and he was orphaned early in childhood. George surprised north and south, black and white, in his determination to attain his master’s degree in agriculture and botany and later went on to be a professor at Tuskegee Institute in Alabama. In his down time he painted and was an accomplished pianist. In their book, Faces of Truth, 101 Famous Christians, portrait artists Doug a nd Norma Latta write that Carver was invited to address the U.S Senate, Ways and Means Committee regarding his work with the peanut! “How did you learn all these things?” they asked. Carver told them he learned about the peanut from an old book—the Bible. Dear friends!! This is EXACTLY what I’ve been saying the last two years on Lift Jesus Cross Blog. We must take time and get our news, our updates, our schedules, our knowledge, and our inspiration at the Tree of Life. Yes, Mr. Carver sat on a tree stump in a little grove of trees. So it’s not the tree stump or the grove of trees. It’s the Tree of Life, that beautiful tree that is now made available to us again through the wonderful tree of Calvary–the cross of Jesus Christ. Do you want your life to have meaning in these last days? Do you want to know what to do day by day? Cultivate the habit of listening, waiting, being still before God at the Tree of Life. Day by day, God will delight in your faithfulness and He WILL give you direction on what to DO in the last days! This entry was posted in Prepare for Emergencies and tagged 101 Famous Christians, cross, emergency preparedness, Faces of Truth, George Washington Carver, Hope Flinchbaugh, last days, Latta, peanut, Tree of Life, U.S. Senate Ways and Means Committee. Bookmark the permalink. I enjoyed reading about George Washington Carver. Thanks. Amen, sis! This is excellent! And after having spent a couple of hours where you also sit at the Tree of Life, I’m all the more encouraged to enjoy such precious times even more! I loved our time together. Refreshing and sweet. Please, when you have a moment, send me your mom’s name and address. Becky, I have those pictures of the baby mocking birds that I will post here soon! Your visit was refreshing to me, like sunshine in the cold of winter, warming my heart. I’ll email you the info!